Just a day after a student of Assam Agricultural University was found murdered in the toilet of the Dibrugarh-Rangiya Express, another woman aged about 45 years was found murdered in the toilet of down Avadh Assam Express at the Mariani station here on Wednesday. The woman has been identified as Lalima Debi of Kodomoni Boiragi Math in Dibrugarh. She had boarded the train at Dibrugarh station and was traveling to Bihar. She was wearing a red blouse, red petticoat and printed sari. A Railway Protection Force personnel told Northeast Now that the semi clad body of Lalima with a cloth tied around her neck raising the question as to whether a serial killer was at work in both the murders. Radha Kumari, the BSc fourth semester student of the College of Agriculture, Assam Agricultural University here was found at the Simaluguri station at Sivasagar district in the same circumstances. She had boarded the train at Sivasagar station, a distance of only 20 minutes by train. She had booked a ticket to Furkating in Golaghat district to visit relatives during the semester break after the fourth semester exams. What is more interesting is that both Radha and the unidentified woman had got up in the coach meant for handicapped. 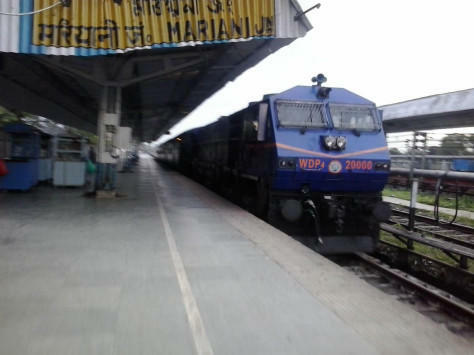 The RPF personnel said that the coach was attached right after the engine and a passenger who had boarded the compartment at Mariani at about 2 pm and had discovered the body and informed the engine driver of the train. Both the bodies bore marks on the face and had been most likely strangulated with the cloth, a gamosa. Police are looking into all angles including sexual assault. Meanwhile, the students Assam Agriculture University have condemned the murder of Radha Kumari and sent a memorandum to the Chief Minister demanding security to female passengers on trains and railway stations and booking the culprits at the earliest. Dean of Agriculture Dipti Borah said that the professors had condoled the death of Radha and that she would personally pay a visit to the family on Thursday. The Sivasagar district administration has declared a compensation of Rs 5lakh to be paid to the family of Radha.